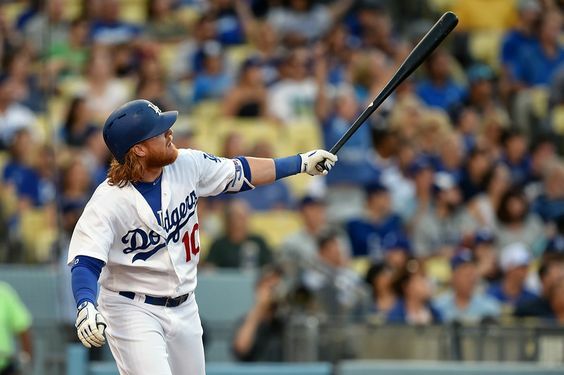 Dodgers third baseman Justin Turner is a candidate for Marvin Miller award. New York Mets outfielder Curtis Granderson and Chicago Cubs first baseman Anthony Rizzo are the other finalists. ‘Jackie Robinson Memorial Freeway’ measure heads to California State Senate. A measure that would rename a portion of the 210 Freeway in Pasadena the “Jackie Robinson Memorial Freeway” passed the California House of Representatives this week and is now before the state senate. Robinson grew up in Pasadena before playing baseball for UCLA and the Brooklyn Dodgers. The measure, joint authored by Assemblyman Chris Holden (D-Pasadena), would create the Jackie Robinson Memorial Highway” on Interstate 210 between State Route 2 and Orange Grove Blvd. Sports Museum of Los Angeles re-opens this weekend. The Sports Museum of Los Angeles [map] will re-open to the general public on weekends only beginning this Saturday from 10 a.m. to 5 p.m.
Gary Cypres’ extensive personal collection is a treasure in the collecting world. Read a feature that colleague Tom Hoffarth wrote about it here. The public re-opening — it had been open for private events only for years — includes a special treat for Dodger fans. SMLA’s re-opening will feature the incomparable “Dodgers Collection,” featuring thousands of items from the team’s birth in Brooklyn in 1890 to the current team. SMLA houses the largest and broadest-known collection of iconic sports memorabilia and collectibles in the world. Conveniently located at Main St. and Washington Blvd., just south of downtown Los Angeles and just 1.2 miles east of STAPLES Center and LA LIVE, SMLA is in the mecca of Southern California sports. The 32,000 square foot museum contains more than 10,000 prized pieces valued in the millions of dollars collected during a 30-year period by founder and CEO Gary Cypres and housed in 30 galleries. The permanent exhibits feature items dating to the 19th Century and include one-of-a-kind pieces from football, basketball, baseball, golf, tennis, boxing, biking, soccer and other sports. Future exhibits at SMLA will include those featuring the Rams, college and pro football collections and a baseball icon Babe Ruth collection. SMLA includes a hall to host private parties. Dodgers to sign autographs to raise money for earthquake relief in Japan, Ecuador. DENVER — An hour and a half before a home game, the Dodgers will typically be indoors working out, relaxing, eating, or meeting. Tuesday they will be signing autographs. 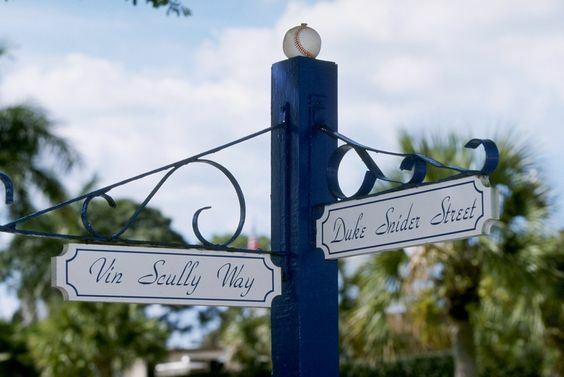 Why “Vin Scully Avenue” might not be official in time for the Dodgers’ home opener. It’s been a while since I reported on the renaming of Elysian Park Avenue after Dodgers broadcaster Vin Scully. Here’s a quick update.